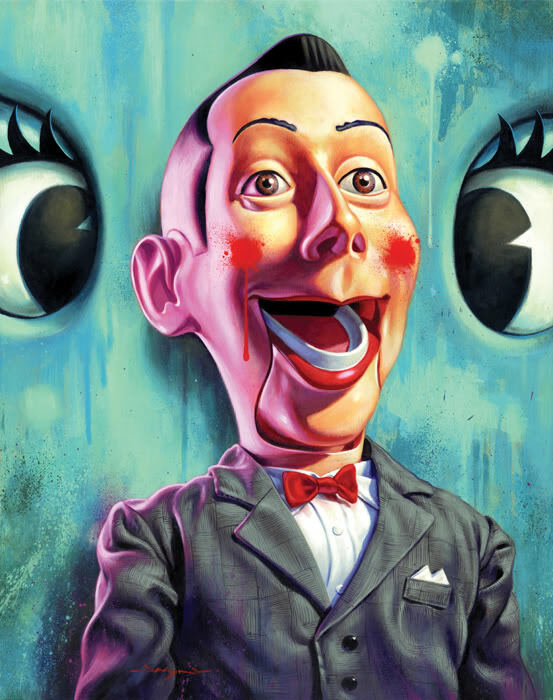 Between being a beloved cult icon and a (wrongly) demonized pervert, Pee-wee Herman (né Paul Reubens) has had a bit of a storied career. Currently enjoying a late-career revival, with his successful bid for an Emmy nod and his ascension into the Apatow Gang, Pee-wee can finally tick off another achievement: a trendy pop-art tribute exhibit. 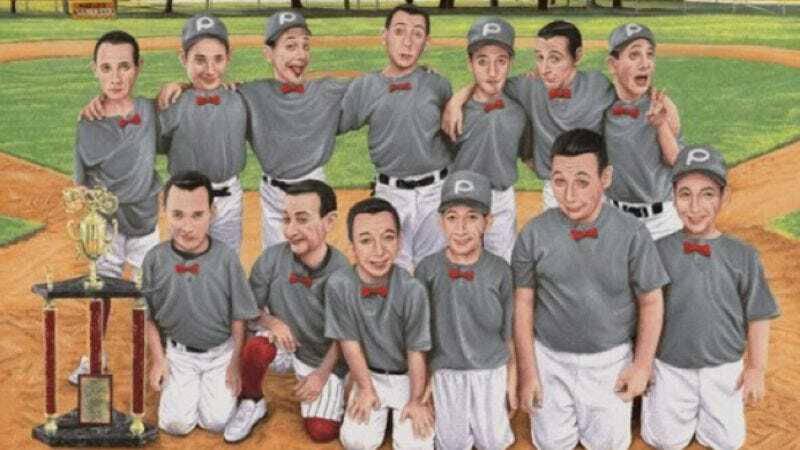 Los Angeles’ Gallery 1988 has opened its Pee-Wee tribute today—entitled “I Know You Art, But What Am I?” because of course it is—and given the small sampling of Pee-wee art available for viewing at /Film, it doesn’t disappoint. The art on display ranges from the excessively cartoony, familiar from his Playhouse days, all the way to delightfully unsettling, also familiar from his Playhouse days. The exhibit runs until August 19.